The 11R is the first ElliptiGO designed specifically for long-distance endurance events over hilly terrain. With carbon-fiber drive arms and a Shimano 11-speed hub, the 11R is the lightest and most capable elliptical cycle on the road. Compared to the ElliptiGO 8C, the 11R gives riders another low gear to tackle the steepest of climbs and two more high gears to facilitate applying power during high-speed descents. A favorite of elite athletes as well as recreational riders looking for the ultimate in high-performance machines, the 11R is a smooth, fun ride that enables you to take on any challence you can dream up. Speed Shimano hub enables 25+ mph sprints and the gearing to climb the steepest hills. Folding steering column facilitates transportation and storage. Review of Elliptigo 11R from Adam Goucher (2000 Olympian, 5,000m) The ElliptiGO 11R is a high-performance, fun racing machine that I can take up any incline I feel like tackling that day. Injuries forced me to retire from professional running, but nothing holds me back on this device – it’s everything I could ask for. ToughTrain 4.0 out of 5 A perfect machine for training your whole body and also enjoying the scenic beauty outdoor. It is a hybrid of an elliptical and a exercise bike. Dietspotlight.com 4 out of 5 The Elliptigo is a bicycle powered by user generated elliptical motion. *Note: Most of the sites, stores or shopping portals listed above sell ElliptiGO 11R with discounts and other exciting offers. 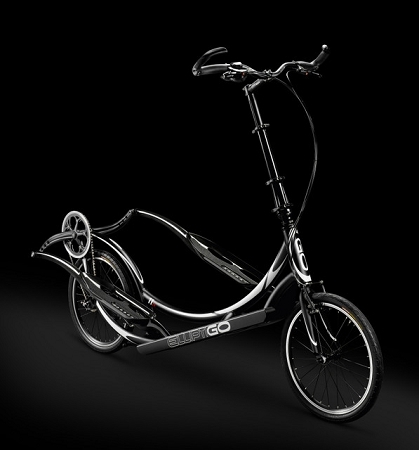 There is a possibility that the some of above websites are not selling ElliptiGO 11R now. Toughtrain.com is not liable for such cases or instances. Also we do not recommend any seller for ElliptiGO 11R and a buyer should buy from where he/she gets best deal with quality of products, service and on time delivery (shipment). Simply Amazing…. its a gem in the world of fitness. Workout is fun as well as very effective. Give it a try and know its specialties. You’ll surely be thrilled, i bet.